This chapter summarises the latest development in the field of educational assessment, focusing on the transition from paper-based to computer-based and from summative to formative and diagnostic assessment to realise efficient testing for personalised learning. The chapter introduces an online diagnostic assessment system that has been developed for the first 6 years of primary school to assess students’ progress in three main domains, including mathematics. 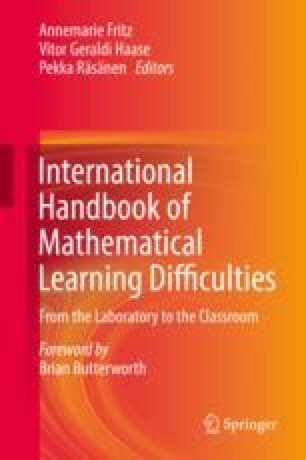 Mathematics has always been one of the most challenging school subjects, and early failures may cause problems later in other domains of schooling as well. Making mathematics learning successful for every student requires early identification of difficulties, continuous monitoring of development, and individualised support for those who need it in the first school years. The diagnostic assessment is based on a scientifically established, detailed framework which outlines mathematics learning and development in three dimensions: (1) psychological development or mathematical reasoning, (2) application of knowledge or mathematical literacy, and (3) disciplinary mathematics or curricular content. A complex online platform, eDia, has been constructed to support the entire assessment process from item writing through item banking, test delivery, and storing and analysing the data to providing feedback. This chapter outlines the foundations of the framework and shows how it has been mapped into a large set of items. Finally, it shows some early results from the empirical scaling and validation processes and indicates further possibilities for the application of the diagnostic system. This study was funded by OTKA K115497. Pearson (2012). From paper and pencil to computer-based testing (CBT). Retrieved from http://www.pearsonvue.co.uk/india/Documents/PP_to_CBT.pdf. SETDA. (2008). National trends report 2008. Enhancing education through technology. Retrieved from http://www.setda.org/wp-content/uploads/2013/12/National-Trends-Report-2008.pdf.